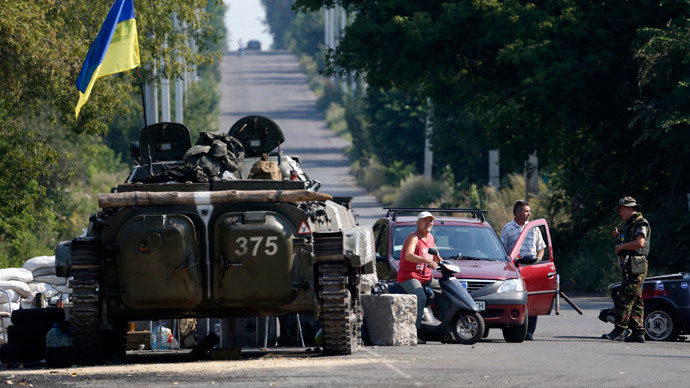 438 soldiers and officers of the Ukrainian armed forces have crossed into Russia, escaping the intense fighting. RT asked them why they did this and what’s next for them. “The Ukrainian population is destroying itself for no clear reason. On both sides, we’re the same people,” Anton Shingera, a regular army officer, told RT. “When we were carrying out military operations in Ukraine, we were surrounded, and we couldn’t escape,” Shingera said. However, his fellow regular army fighter, also called Anton, said that it wasn’t a simple defection. “The thing is, we didn’t have enough equipment to hold the enemy, and that’s why we made this decision,” he told RT. 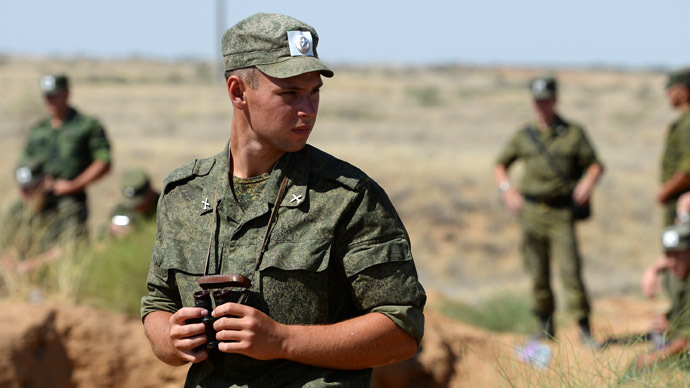 The lack of ammunition, food, and fuel and clear instructions from commanders forced the troops to flee across the border, Major Vitaly Dubinyak, a battalion commander, told Itar-Tass on Tuesday. 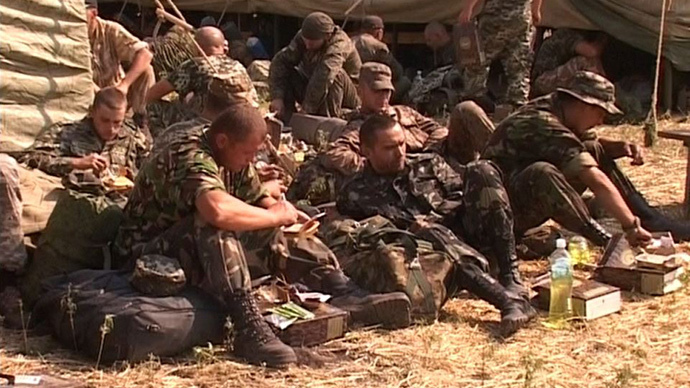 When asked whether they intend to return to Ukraine, and what their fate will be there, the soldiers are hesitant. “Our country may accuse us. It could consider us traitors. We crossed another country’s border. I don’t know… Now, what can I say about going back? I don’t know, but I certainly don’t want to. No matter how much money they’ll pay me,” Shingera said. 41 soldiers who deserted earlier in July each received prison sentences of 10 years. 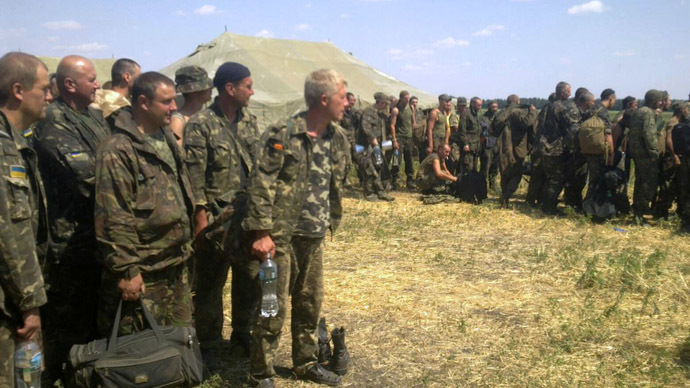 There are now 54 soldiers remaining on the Russian-Ukrainian border, and the road back home, as was the case with their fellow fighters, doesn’t look smooth. 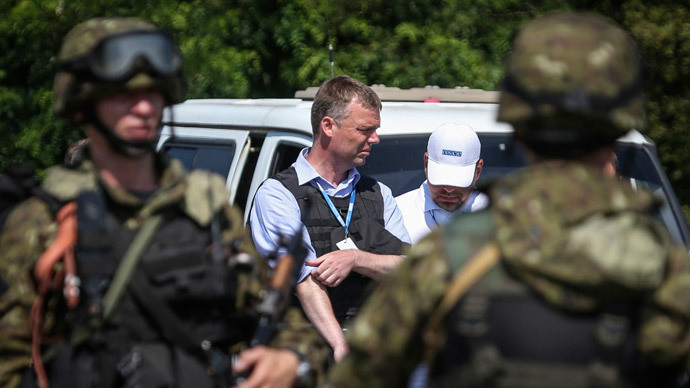 A weekly report by the OSCE mission disclosed that the transit of the troops on Tuesday had to be temporally stopped after a group of servicemen came under attack on Ukrainian territory, with four soldiers being wounded in the attack.